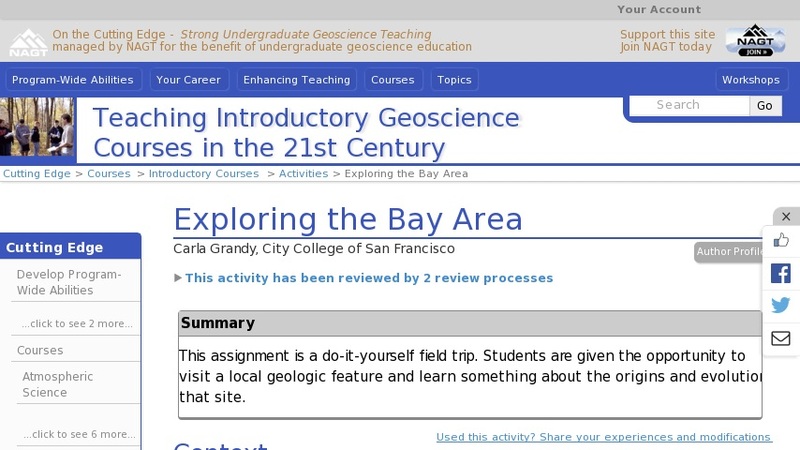 This assignment requires students to visit a local geologic feature. Students choose a field site, visit it and observe features such as weathering, rock type, folding, or faulting. At their field site, they are encouraged to make sketches and take photographs. They will turn in a description of the site, geologic origin, and geomorphologic evolution. This assignment is especially useful for non-majors who may not normally be interested in outdoor activities.